Since this box is starting to settle down, I was in the mood to change the 'tranquility' background that's standard for XP to something a little more .. widescreen. After a quick visit to Facelift, I had a number of images to choose from, but seeing some fractals poking their heads up made me remember the old fractint days. Fractint is looking a bit long in the tooth now, but at least Ultra Fractal is keeping the light burning bright for artistic interperetation of fractals. 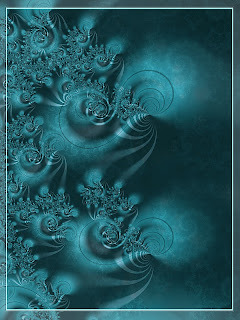 There's some awesome galleries popping up over the net with UltraFractal images, like DeviantArt and Paul DeCelle's work.